Saint Philip’s Cathedral, Birmingham, which was the venue for yesterday’s meeting of USPG volunteers from the Midlands dioceses, has only been a diocesan cathedral since 1905, with the formation of a new Diocese of Birmingham, but it dates back more than 300 years to 1715, when it was built and consecrated as a parish church. 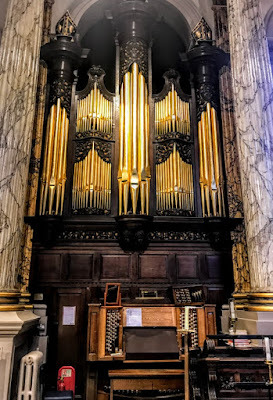 Saint Philip’s, which was built in the early 18th century in the Baroque style by the architect Thomas Archer (1668-1743), is a Grade I listed building and the third smallest cathedral in England after Derby and Chelmsford. 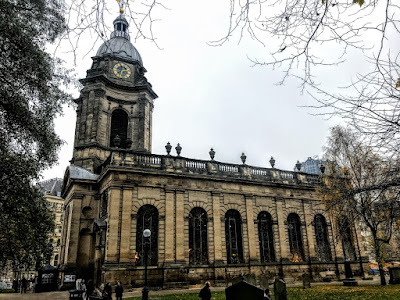 Saint Philip’s Church was planned when the nearby mediaeval parish church of Saint Martin in the Bull Ring became too small for the growing population of Birmingham. Land once known as the Barley Close or the Horse Close was donated by Robert Philips in 1710. 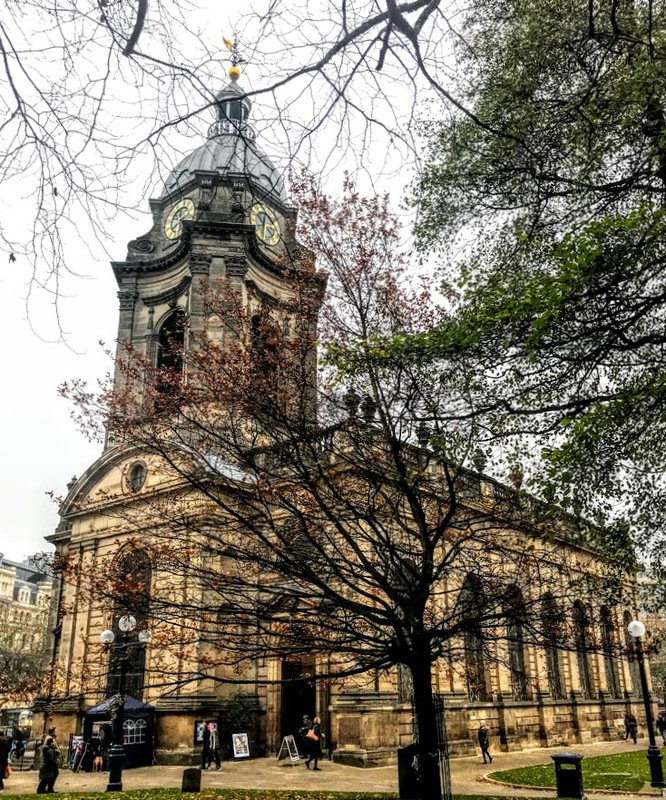 The site at Colmore Row, in the heart of the city, is one of the highest points in Birmingham, and is said to be at the same level as the cross on Saint Paul’s Cathedral in London. An Act of Parliament in 1708 created a new parish of High Town in Birmingham. 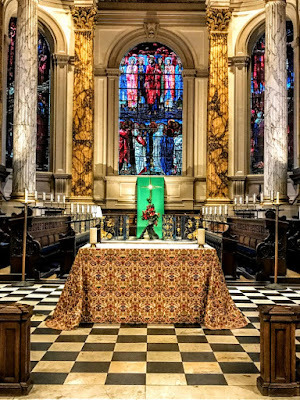 Work on building a new parish church began in 1709, and the church was ready for consecration on 4 October 1715, when it was dedicated Saint Philip the Apostle in a tribute to the benefactor, Robert Philips. This was probably Archer’s first church, although earlier he had rebuilt the chancel of the church in Chicheley. 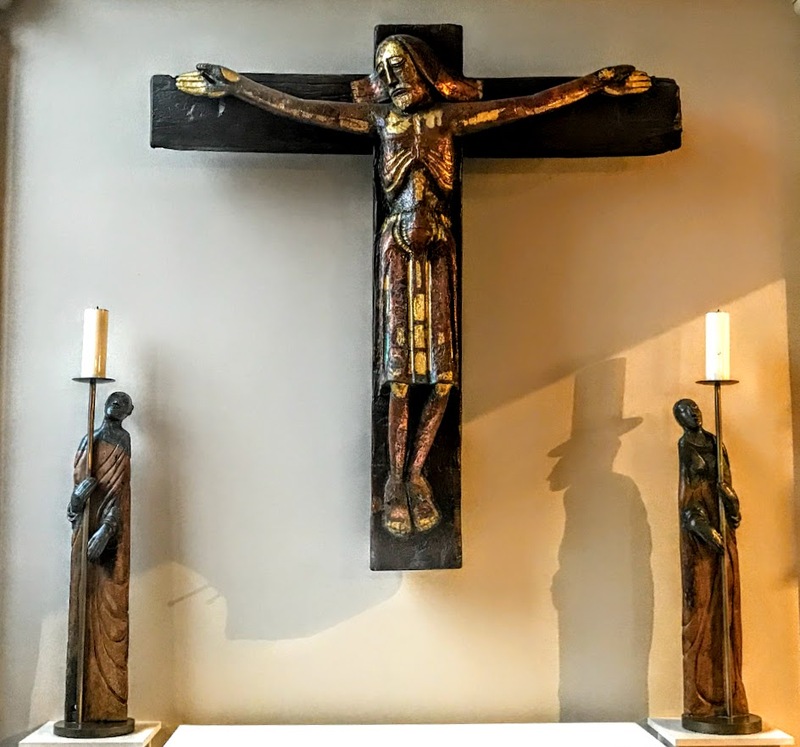 Building estimates were put at £20,000, but the final figure was only £5,012, because many of the materials were donated and transported to the site at no cost. The building work was supervised by William Smith of Warwick. Archer had toured Italy, visiting Rome and Padua, and his Baroque design was influenced by the churches of Bernini and Borromini, so that his style is more Italianate than the churches in London by Christopher Wren, for example. The hall-style, rectangular interior has aisles separated from the nave by fluted pillars in classical form, with Tuscan capitals supporting an arcade surmounted by a heavily projecting cornice. Wooden galleries are stretched between the pillars in a manner that is typical of English Baroque churches. The tower was complete by 1725, and the urns on the parapet were added in 1756. Externally, the tall windows are interspaced by pilasters in low relief, supporting a balustrade at roof level with an urn rising above each pilaster. The western end is marked by a single tower that rises in stages and is surmounted by a lead-covered dome and a delicate lantern. The building is of brick and is faced with stone quarried on Archer’s estate at Umberslade Hall near Tanworth-in-Arden in Warwickshire. 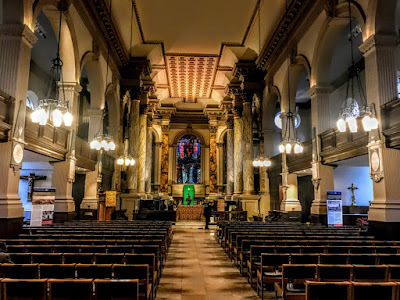 The original shallow eastern apse was extended in 1884-1888 by JA Chatwin into a much larger chancel, articulated by strongly projecting Corinthian columns. This design is made richer by the marbled surfaces of the columns and pilasters, the gilding of capitals and cornice and the ornately coffered ceiling. Chatwin also refaced the exterior of the building because the stone from the original quarry was very soft. The tower was refaced in 1958-59. 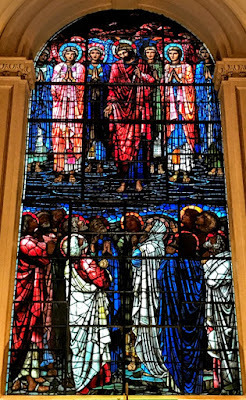 The Pre-Raphaelite artist Sir Edward Burne-Jones (1833-1898), who was born nearby in Bennett’s Hill and was baptised in the church on 1 January 1834, added to the late Victorian enhancement of Saint Philip’s with his donation of several windows, of which three are at the east end. 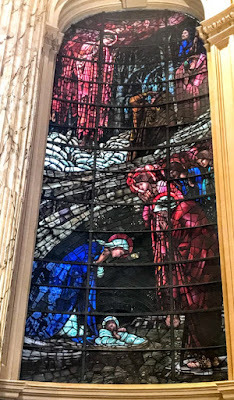 The west window, also by Burne-Jones, was dedicated in memory of Henry Bowlby in 1897. These windows, made in Birmingham by the Arts and Crafts studios of William Morris, are regarded as the real treasures of the cathedral. 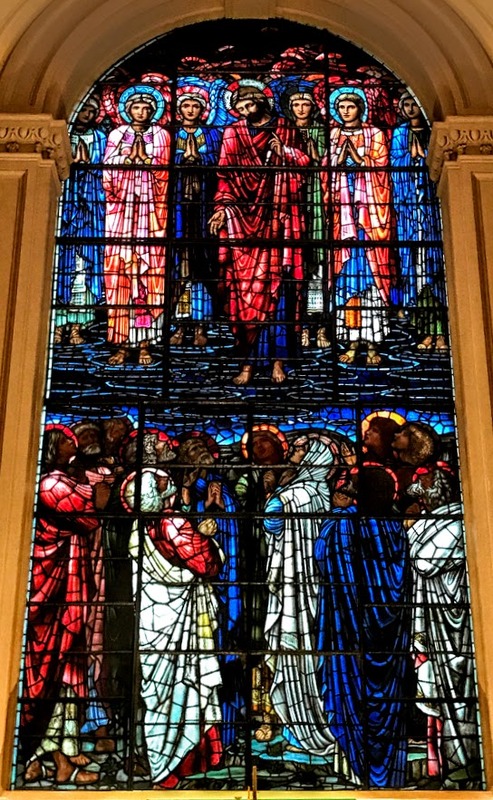 The three windows in the chancel depict the Ascension (1885), the Nativity (1887) and the Crucifixion (1887), while the later window at the west end depicts the Last Judgment (1897). 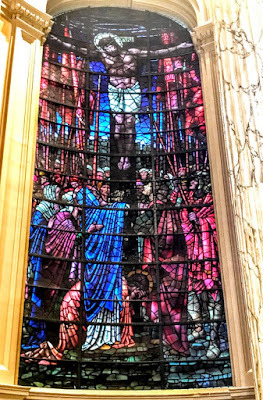 Other windows in the cathedral are the work of the studios of Hardman of Birmingham. Six monuments in the cathedral have heritage listings. 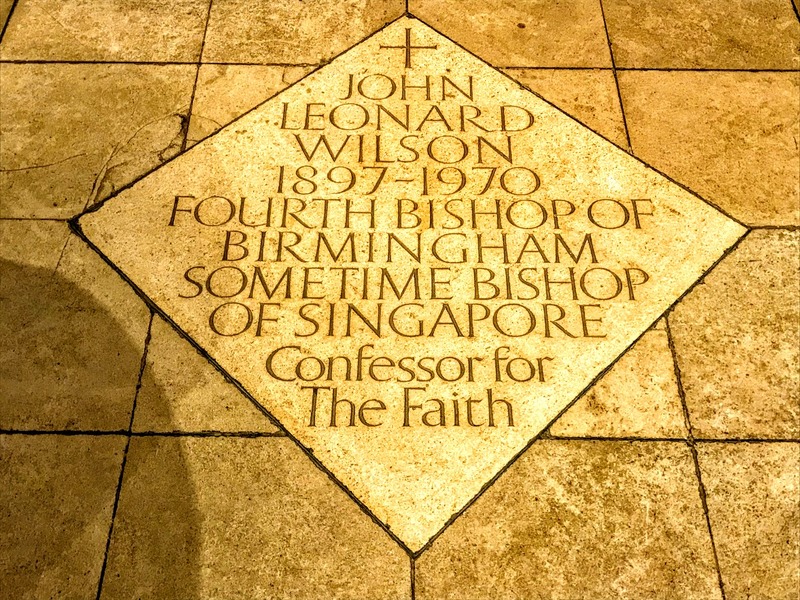 In front of the High Altar and chancel area, a diamond-shape stone plaque in the floor in front of the High Altar commemorates Bishop Leonard Wilson (1897-1970), who was Bishop of Singapore at the outbreak of World War II and became a Japanese prisoner of war. Despite his treatment in prison, he baptised three of his captors. He later retuned to England and became the fourth Bishop of Birmingham (1953-1969). 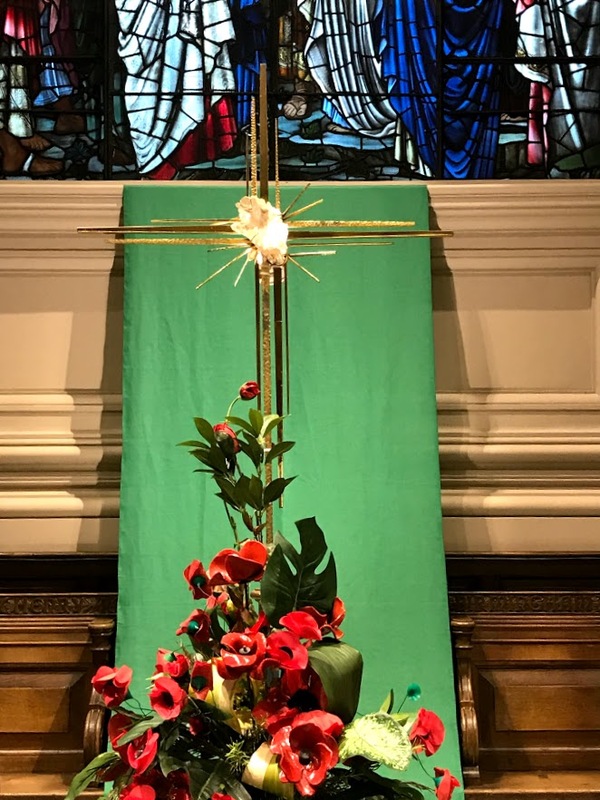 The cross that once stood on the High Altar has a piece of quartz at its centre. It was made in the Jewellery Quarter of Birmingham by the artist and jeweller John Donald in 1963. Meanwhile, Saint Philip’s continued to serve as a parish church from 1715 until 1905. The industrial revolution and the growth of industrial towns in the 18th and 19th centuries brought with them a growth in the number of parishes, and a need for new parishes and dioceses. Birmingham was given city status in 1889. 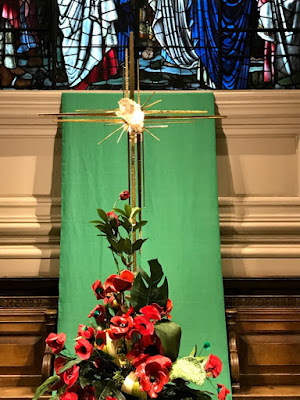 But, while Liverpool and Truro both built new cathedrals, in other cities older parish churches and ancient abbeys were given the status of cathedral in new dioceses. 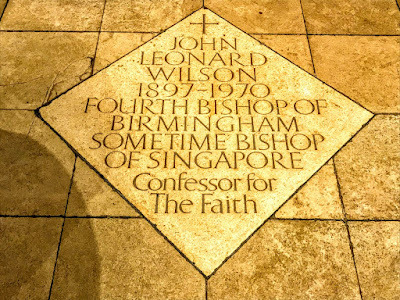 Both the Birmingham-born statesman Joseph Chamberlain and the Bishop of Worcester, Charles Gore, worked hard to have a separate Diocese of Birmingham carved out, and in 1905 Saint Philip’s became the cathedral of the new diocese of Birmingham, with Charles Gore (1853-1932) as the first Bishop of Birmingham (1905-1911). He was the editor of Lux Mundi, the founder of the Community of the Resurrection, and was a leading Christian Socialist. He later became Bishop of Oxford (1911-1919), and died in 1932. During World War II, the cathedral was bombed and gutted on 7 November 1940. 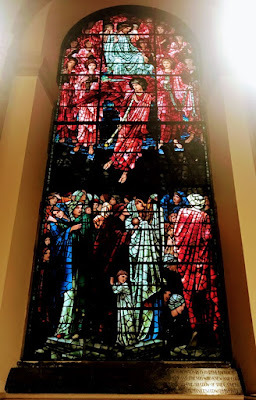 However, its most significant treasures, including several windows by Edward Burne-Jones, had been removed in the early stages of the war by Birmingham Civic Society. 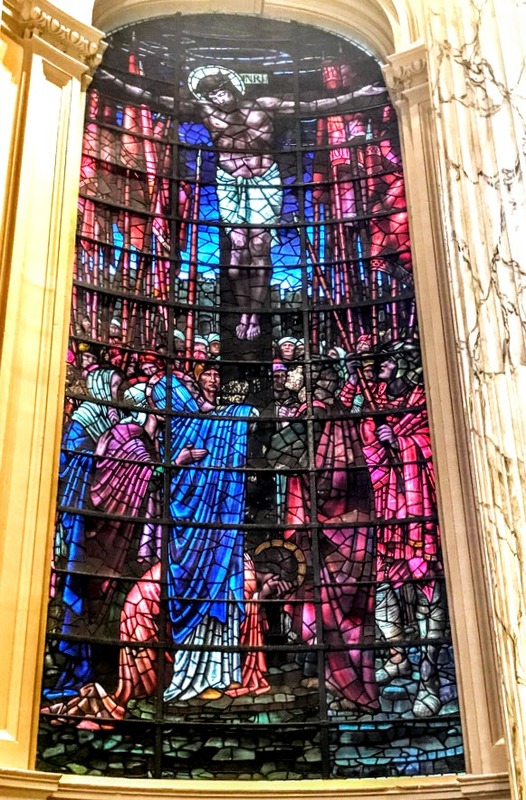 They were replaced, undamaged, when the cathedral was restored in 1948. The former burial place in the cathedral crypt was transformed into a meeting room and choir school in 1989 – and this is where we met yesterday. The organ in Saint Philip’s was originally built by Thomas Swarbrick, and still dates in part from 1715. It was repaired in the late 19th century and was moved from its original position in the gallery. It has been restored, enlarged and modernised several times since then. Saint Philip’s has a traditional cathedral choir of 20 boys and adult lay clerks as well as choral scholars. Since 1992, the cathedral has also had a choir of girls who sing several times a week. Following the completion of the tower in 1725, Joseph Smith of Edgbaston provided a ring of eight bells, later augmented to 10. But these bells were unsatisfactory, and in 1751 the vestry had them recast by Thomas Lester of the Whitechapel Bell Foundry in London. The new bells were slightly larger and were hung in a wooden frame. The bells were used throughout the late 18th and 19th centuries. But by 1906 the bells were no longer in a condition to ring, and there were concerns about the safety of the tower. Ringing was briefly revived in 1921 but they were not rung again until the Coronation of George VI in 1937. The bells were restored by Gillett & Johnston, bell founders in Croydon, and this foundry cast two additional bells in 1949 to complete the ring of 12 bells that is there today. The bells were rehung again in 2004. 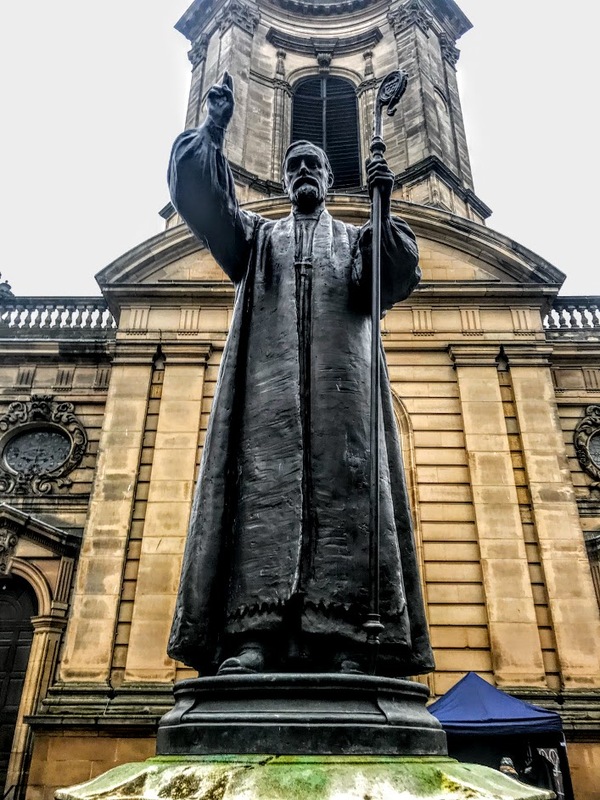 Outside, in the grounds of the cathedral, Thomas Stirling Lee’s statue of Bishop Charles Gore, vested in convocation robes with his right hand raised in blessing, stands in front of the West entrance. It dates from 1914. However, Gore chose to be buried at Mirfield, the home of the Community of the Resurrection. 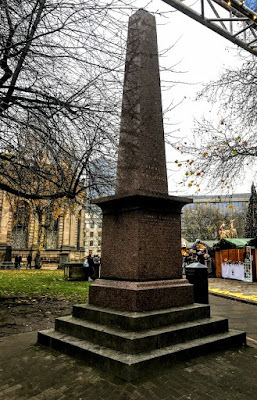 A large Portland stone obelisk by Robert Bridgeman of Lichfield commemorates Frederick Gustavus Burnaby. Besides Burnaby’s bust, in relief, it carries only the word ‘Burnaby’ and the placenames and dates ‘Khiva 1875’ and ‘Abu Klea 1885.’ These refer to the Khanate of Khiva and the Battle of Abu Klea, where Burnaby was killed. 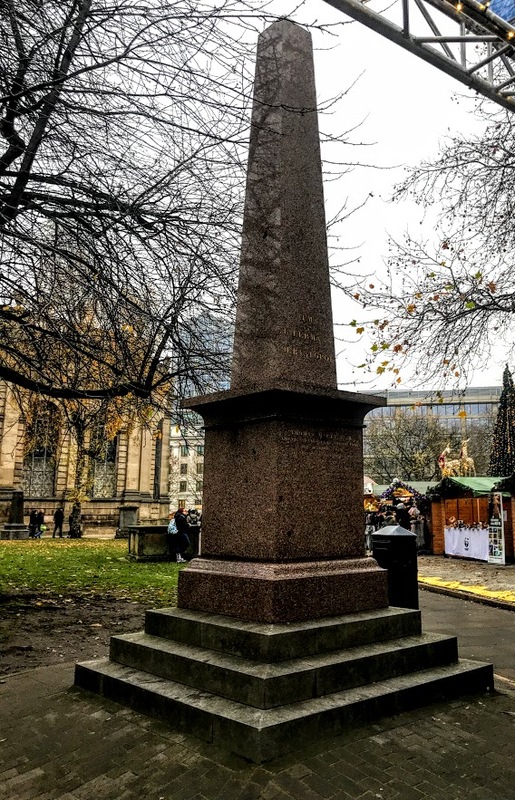 A monument in the cathedral grounds commemorates John Heap and William Badger two men who died during the building of Birmingham Town Hall. 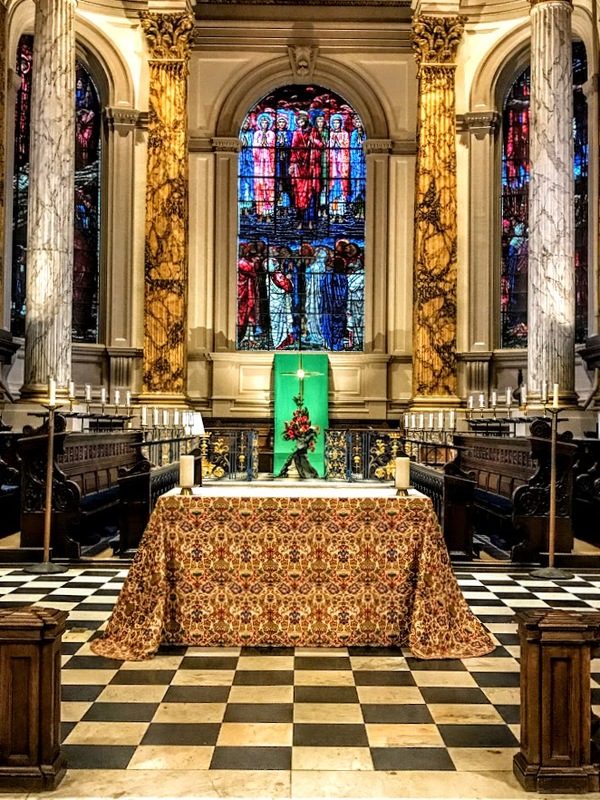 Other monument in the cathedral grounds include a memorial to the 21 victims of the Birmingham pub bombings in 1974, unveiled in 1995. 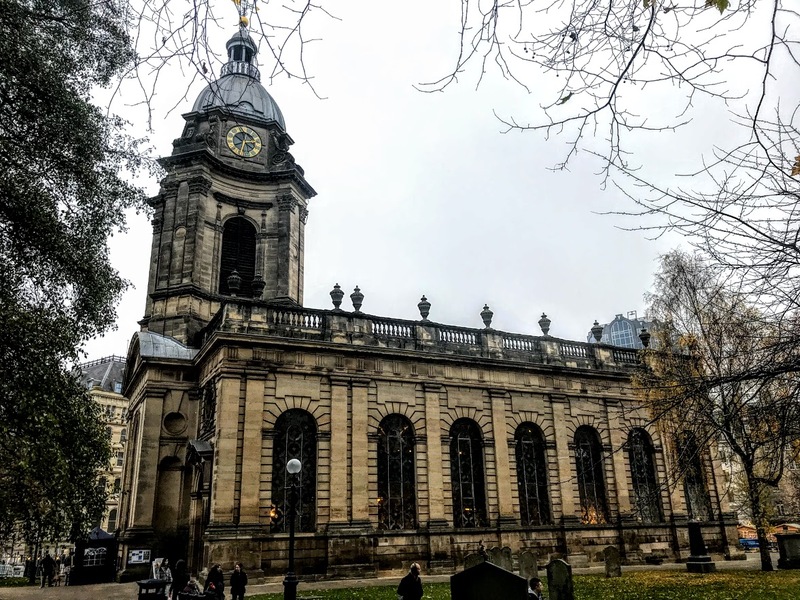 Since 2017, the Very Revd Matt Thompson has been the Dean of Birmingham. The cathedral is open every day throughout the year, and maintains a regular pattern of daily worship.